I’ve stopped using Facebook almost entirely, because FriendFeed is much more engaging, useful, and easy. But back when I was using Facebook, I briefly played a game called Elven Blood (which has now been removed from Facebook). 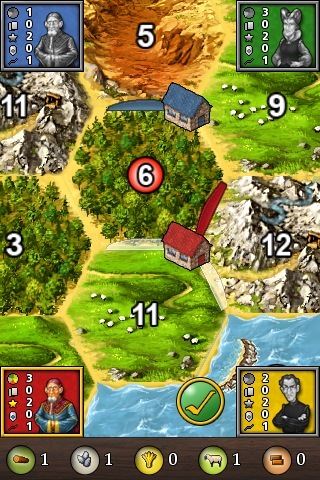 You start at level one with low stats, no possessions or money, at a particular location. You can choose to do one of several quests at that location. You complete the quest merely by clicking on a button. Each quest gives you a small amount of experience, and usually money, and possibly a different reward (or a chance at different reward) such as an weapon or armor or mount or key. Performing the quest uses up stamina and may also lower your health. Stamina and health recharge over real-time. As you grow in experience, you increase in level. Each location has a store which sells weapons, armor, and possibly mounts. As you acquire items and mounts, you can then move to different locations. At the new location, there are more quests, sometimes requiring a larger party size. You can sometimes purchase or find land or houses or special items, which give you a monthly income or increase your health/stamina recharge rates. To increase your party size, you can invite your friends (or strangers for that matter) to join your party. Simultaneously you may (or may not) join their party. Joining someone’s party doesn’t really do anything except increase the “party size” stat. Other party members do not actually participate in questing or game play. Pretty soon, the only way to progress in level (or to go to new locations) is to acquire more party members. On the side, there’s a separate player vs. player (“PVP”) activity where you can attack or be attacked by random people. Victory or defeat is determined by what weapons and armor are used by you and your party members, plus random factors. But PVP doesn’t really do anything other than keep track of wins/losses and lower your stamina. You start with a certain number of special points. These special points are used to buy extra party members, or instantly recharge health or stamina. You can acquire more special points by clicking on special offers (such as insurance quotes) or buying things, or paying actual cash. By default the game posts “stories” to your Facebook news feed, announcing when you’ve gained a level or reached a new location. At least two dozen other games, such as “Mob Wars” and “Mobsters” and “Spymaster” and “Zombies” and “Vampires” use the same model. In addition to being found on Facebook, some of these versions are web games, some MySpace games, some Twitter games, some web games, and some iPhone games. (Doubtless other playforms too.) 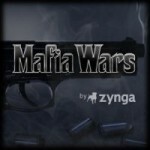 On Facebook, Mafia Wars is a top ten application, with more than 14 million monthly users, per AppData. As with other games in this genre, gameplay largely revolves around completing missions and becoming more powerful by acquiring better weapons (there’s also a time constraint that forces you to keep coming back for more). It may not sound particularly appealing until you’ve tried it out for yourself, but once you do it’s easy to quickly become totally addicted. Already on the iPhone, you’ll find numerous re-skinned version of this game; currently in the top 25 are “iMobsters,” “World War,” “Jet Fighters Online,” “Brothers in Arms,” “Racing Live,” and “Vampire II.” When looking at reviews, you’ll rarely see customers talk about the merits of the game, but the reviews consist almost entirely of people begging for you to “add me” (listing their user number or ID so that you can add that person to your party, so you can complete quests). And that underscores the major problem with these types of “games”: The only challenge is finding friends, family members, co-workers and random strangers to add to your party so you can progress. There is not really any game here in the traditional sense: Completing the quest is simply a matter of clicking the button. If the quest is fighting someone, you don’t fight like in an arcade game or in a strategy game. If you meet the requirements, you succeed at the quest. (Some versions of the game may add in a random chance at failure.) There are zero decisions. There is no control. You have no options. I am flabbergasted that so many are “addicted” to this game; I fail to see how anyone can stay interested for long. In addition to the lack of actual game play, you end up polluting your news feed or twitter feed with random updates that — I have to assume — are of zero interest to anyone other than you (with the possible exception of other players of the game, who might then see you’re playing, and will then try to snag you to join their party). To be fair, Elven Blood did try to incorporate some actual game elements. For example, there was a maze where you had to interpret a clue to figure out which location to travel to next. But even with these elements, the majority of the game was simply waiting until you had enough stamina, then clicking a quest button to succeed at a quest and gather rewards. Rinse, repeat. If anything, the best analogy to these games is those Tamagotchi virtual pets popular over a decade ago, where the gameplay consists of pushing a button in response to stimuli, to no real end. So, then, the only real challenge is how effectively you can spam in order to get people to join you. Am I missing something? These games are tremendously popular, but I honestly don’t see any lasting appeal. I was initially hooked on Elven Blood because for a little while it was engaging to join up with friends, see pretty graphics, and go through the whole RPG level treadmill progressing from neophyte to powerful warrior. I’m most impressed by the monetization. The game creates a real incentive for you to pay cash or click on random dodgy offers just so you can grow your party without having to annoy other people. I’m sure that’s a very effective business model. As a game, however, I have zero interest. For the last few months, I’ve not been playing very much World of Warcraft — typically 3-6 hours per week and that’s it. That changed last Tuesday — they’ve released some new content, and I’ve been playing a bit more than normal. On Sunday, while Sophie was napping, I played a few minutes with Sammy on my lap, and explained to him a bit of what was going on. He really likes watching my character fly around on his Netherwing Drake (Sammy calls it a bird), and while I was doing a couple of quick daily quests, he narrated a bit of what he could see. He doesn’t distinguish between my character and me — both are just “Daddy” to him. Hello Kitty World apparently beta-launched today. Here’s how I imagine it. What type of animal are you? A doggy, silly! You’re not tired, silly! And we can’t imagine anything else you’d use the bed for. Oh, a pillow fight? That sounds like fun! Invite over some friends, and let’s play! You have a new quest: Pillow Fight! You don’t have any friends. Yet! That’s a little sad, but just smile and it’ll get better. You leave your house and head to the train station. The train is not here. Using the train costs $1. Remember, get your parents’ permission before paying for items! Do you have their permission? Good. Please enter your credit card. Why aren’t you entering your credit card? She has red go-go boats decorated with sparklies and spaceships and moonbeams. Would you like a pair like that? > YYES YES YES YES! They cost just $6.95. Remember, we don’t charge you anything for this game, and Sanrio has to pay the rent for its giant factories. So won’t you please consider buying some red go-go boats? Your mom’s credit card is probably in her purse. We’ll wait. Hello Kitty herself appears to thank you! Hello Kitty loves you! Did she mention how cute you look? I used to watch a lot more TV than I have over the past two years. And I used to play a lot of different computer games. And I used to go to the gym/Team Fitness a lot more than I do now. The big reason for the change is that more of my free time has gone into World of Warcraft, to the point where I really don’t play any other computer games and I’ve stopped watching about half the TV shows I used to watch. (I do wish Kimi would play too, but it’s really not her thing and she’s not at all interested.) Single player computer games now seem a bit lonely to me; I tried playing Oblivion but gave up because the world felt empty. Blizzard has done a remarkable job of making their online game interesting and rewarding. And on a professional level, Blizzard is a service company just like TiVo, so I’m very interested in their patch rollout, billing, and customer communication processes. When I play, it’s been mostly with my brother Harry but over the last couple of years on our server I’ve developed quite a few friends; we’ve even met in person at a couple of picnics and a party up in Antioch. Last week my friend John R. purchased the game and started playing on our server (Horde side on the Feathermoon server, to be specific). To help him out, I created a new character and started levelling up a Tauren Warrior alongside his Tauren Druid. Re-experiencing the world has given me appreciation for Blizzard’s achievement all over again. The quests are well thought out and engaging, and the depth of gameplay is really there. I’m not sure I’ll have the endurance to take this character all the way to 60; I’m more interested in driving forward my existing character, a Forsaken Priest, rather than really developing a second character. Plus being a priest fits my style of play more than a warrior. The first expansion comes out later this month, and there’s a chance I will roll up a new character in the new Horde race, Blood Elves, and stop paying attention to this new warrior, but for right now part of my brain is thinking about Brahee Dawnstrider and his novice blacksmithing and his struggles against harpies and dwarves.